We constantly hear about Facebook wanting to enter China, but how about the possibility of Chinese social networks opening up to the rest of the world? Just to make things clear, Chinese social networks are NOT blocked, banned or censored outside of the country. They are simply not available in English, which is an obstacle that hinders non-Chinese speaking users from registering and using the service, and in this case even Google Translate might not be able to help. As much as Facebook wants to connect to the 470 million Internet users in China, I’m sure that it’s equally appealing for Chinese social networks to tap into the billions of Internet users from the rest of the world. According to the Council of Economic Development, American companies lose $2 billion per year because they lack cross-cultural skills and turning the tables around, it would naturally be similar for Chinese companies trying to reach out to the rest of the world. It goes beyond the simple translation of the site’s contents because being openly available to non-Chinese speaking users entails making promotion and marketing, customer support and app development available in English as well. For Chinese Internet startups, it won’t come as a surprise that most (if not all) are limited to the Chinese but when it comes to two of the hottest Chinese social networking sites today — Sina Weibo and RenRen – it’s rather surprising that neither offer their services in English. The bigger question here may be: is it worth it? I would say definitely but not without carefully studying the scenario first. Despite the success of these social networking sites in China, it is important to remember that what works in one country might not exactly work the same in others. 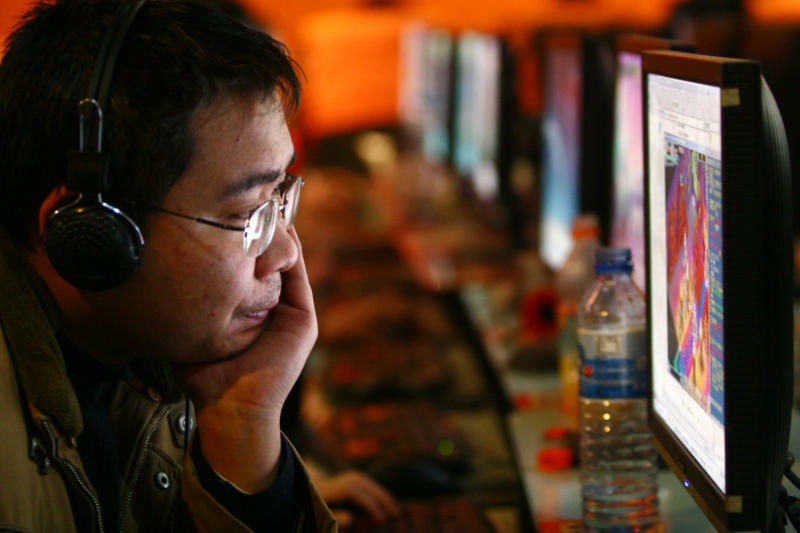 China is still behind the infamous Great Firewall, the system that filters and censors websites with politically sensitive content. As such, popular social networks such as Facebook and Twitter are still blocked in the country. Just like Facebook treading carefully in regard to its China entry, even reportedly considering blocking off some content specifically in China, it is possible that Chinese social networks are also considering a similar strategy to tap into English speaking users. There are laws and constitutions governing other countries that protect Internet freedom, which require sites to be completely open — something Chinese Internet companies might not be able to adhere to. Baidu and China were recently sued for blocking off search results in the US. Although more likely than not, nothing is going to happen or change with Baidu, it can still be a huge headache for the Chinese to have to deal with these kinds of issues once they actively promote to the non-Chinese. As I previously mentioned, localization of Chinese social networking sites go far beyond translation. It actually focuses on local trends and policies that really matter to the Chinese. The reason a lot of Western Internet companies fail in China is because they weren’t local enough. I’m merely highlighting the fact that users of Chinese social networking sites CAN use English, which makes me believe that the issue is not so much about them being in English but them being used by non-Chinese users. So maybe, beyond the established Great Firewall, the Chinese have developed a sense of discipline when using Chinese social networks. Over the years, the Chinese have instituted a formidable culture of self-censorship mainly because in one way or another, they believe in its value and are still able to enjoy the Internet peacefully despite the restrictions. While it’s true that a lot of Chinese netizens are openly against the Internet censorship, based on results, and the numbers don’t lie, it is still being accepted and used by majority of the Chinese. 140 million users for Sina Weibo and 31 million for RenRen — that’s pretty remarkable considering these sites are only limited to people who speak Chinese. Facebook and Twitter have been dominating the world one country at a time and it would be a pretty daunting yardstick for Chinese social networks to reach that level of worldwide superiority. Take for example Hong Kong or Taiwan, countries that are populated with Chinese, where Sina Weibo and Twitter, Facebook are available. It is evident in those countries that despite the availability of the “localized” Chinese social networking sites, the western counterparts still dominate — and chances are, this will be the same for the rest of the world. The very essence of a social network not only lies within the number of active users but the social graphs it can get hold of. It would be a shame for the dominating Chinese social networking sites to have the same fate as Friendster or MySpace in countries outside of China. While the guaranteed couple of million users from the curious non-Chinese might look good in terms of the total number of registered users, the level of engagement of the active users might end up being insignificant and in some cases, potentially embarrassing. This is of course not to say that Chinese social networks have no spice — in fact, we’ve reported before that Sina Weibo is outshining Twitter by innovating more and rolling out unique features, but of course given the already-established network of these Western social networking sites, it would be a real challenge for the Chinese counterparts to penetrate. With several Chinese social networking sites filing for IPO, it wouldn’t be surprising if one day one or two do become available to the rest of the world but now, or even soon, is highly unlikely. I believe in the ingeniousness of the Chinese. “Copy first, innovate later” is something that works for them and when it comes to the time when the best Chinese social networks become ready to face the popular English social networks, it will definitely pose a real threat. My money is on Sina Weibo.